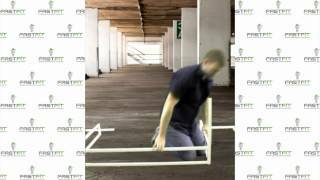 Hawthorne Gardening Company Presents The Fast Fit Our experienced research and development team designed and engineered interlocking components that simply slide together, while maintaining excellent stability. Only after the heavy duty steel framed FAST FIT - Light &amp; Tray Stands passed endurance tests, did it earn the &quot;Toolless Seal of Approval&quot;. 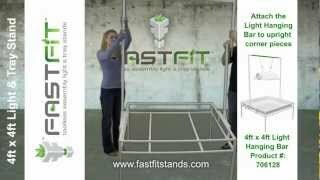 How To Assemble The Fast Fit The unique patented FAST FIT is the only LIGHT &amp; TRAY STAND on the market that easily assembles in minutes without tools. Ordinary LIGHT &amp; TRAY STANDS require fumbling around with nuts and bolts, while FAST FIT uses the &quot;no hassle&quot; SIMPLE INTERLOCKING TECHNOLOGY. Toolless assembly light and tray stands fit all popular brand tray sizes.